Sigma invites you to Leadership Connection, 15-18 September 2018, in Indianapolis, Indiana, USA. 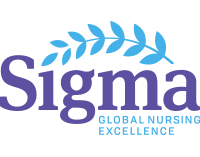 This event, split into two parts, will focus on chapter leader development and strategies during the first two days, followed by two days for all nursing leaders to come together and focus on transformative nursing leadership. Chapter leaders and nursing leaders are encouraged to attend this event focused on influencing change through leadership in their chapters, as well as personal and professional lives. Learn more about yourself, your peers, your profession, and your organization at Leadership Connection.